Spring has finally sprung bringing with it the 25th annual FAI’s Giornate di Primavera. On March 25 and 26, over 1000 hidden treasures throughout Italy are opening their gates including 47 sites here in Tuscany normally inaccessible the rest of year. Although admission is free, the weekend brings an opportunity to make a suggested €3 donation to the Fondo Ambiente Italiano, better known as FAI, a non-profit that restores and safeguards Italy’s historical landmarks. Prato is home to the Conservatorio San Niccolò and the Villa del Barone, both of which will offer guided tours. The ex-convent of San Niccolò was founded by Dominican priest Niccolò Albertini da Prato in 1323, and went through significant changes in the seventeenth and eighteenth centuries with the addition of beautiful wall murals. In 1785, Grand Duke Peter Leopold of Lorraine established it as a institution for the education of women. The Villa del Barone, which is rarely open to the public, as it is currently being restored, is located above Prato in Montemurlo and has one of the most beautiful views and gardens in the area. The villa has changed many owners, from the Rossi family of Parma, the Florentine Panciatichi, and finally painter Cristiano Banti. On Sunday at 6 pm, there will be a special concert by the Executive Saxophone Quartet. The public can access the Villa with a shuttle bus from Piazza Don Milani in Fornacelle and Piazza Aldo Bini in Bagnolo. Be sure to wear comfortable shoes. 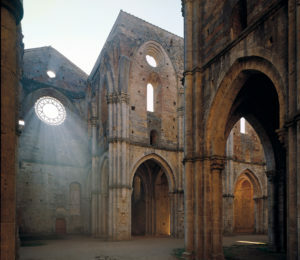 Also available for an early spring visit is the grand Gothic abbey of San Galgano. Sitting 20 miles southwest of Siena, named after the sword wielding Saint, one defining feature of the massive 14th century Gothic church is an open air roof, perfect to watch the sun dance through the glassless windows on a sunny day. In Viareggio one can visit from 11 am to 5 pm composer Giacomo Puccini’s intimate home where he wrote the celebrated opera Turandot. Situated between a pine grove and the sea, the walls of Puccini’s personal have are embellished by Galileo Chini’s Art Nouveau ceramic decorations. Guided tours will be offered in English as well. 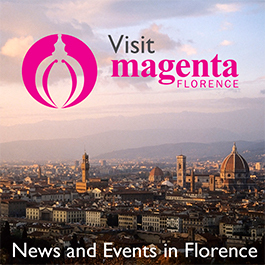 Museums will be open in Montevarchi, the province of Arezzo, including one which features the sculpture of the 1800s and 1900s. Il Cassero per la Scultura houses a permanent collection of 500 bronze, marble and terracotta pieces, designs and sketches from Tuscan artists in addition to photographs and original documents from that time. Able to fascinate both the young and the old, the newly renovated Paleontology museum in Montevarchi houses more than 2,000 items, including stuffed saber-toothed tigers, mastodons, and the famous towering skeleton of a wooly mammoth at the entry. Sunday afternoon there will be a special program for children and their parents.